Now for every successful transaction, an invoice is generated and mailed to the user. 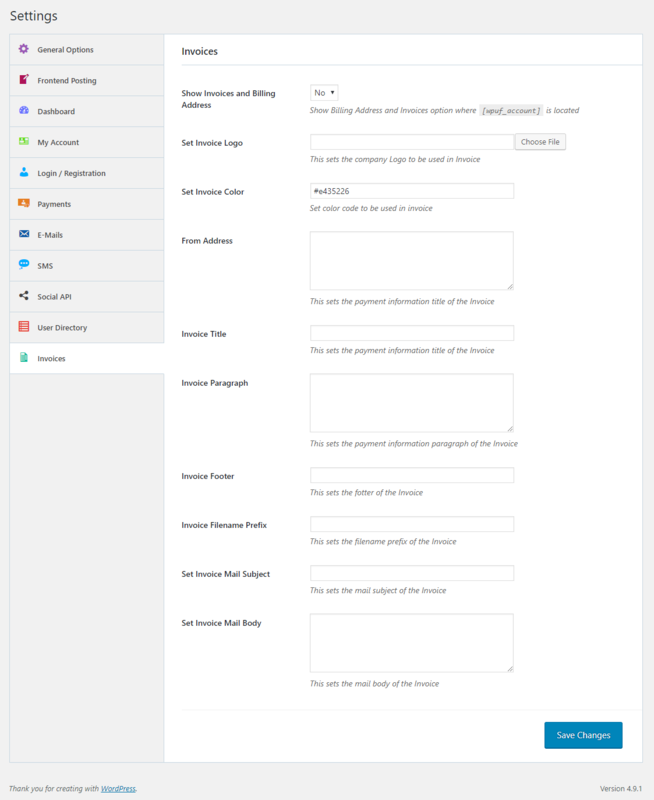 Users can even download their invoices from dashboard. 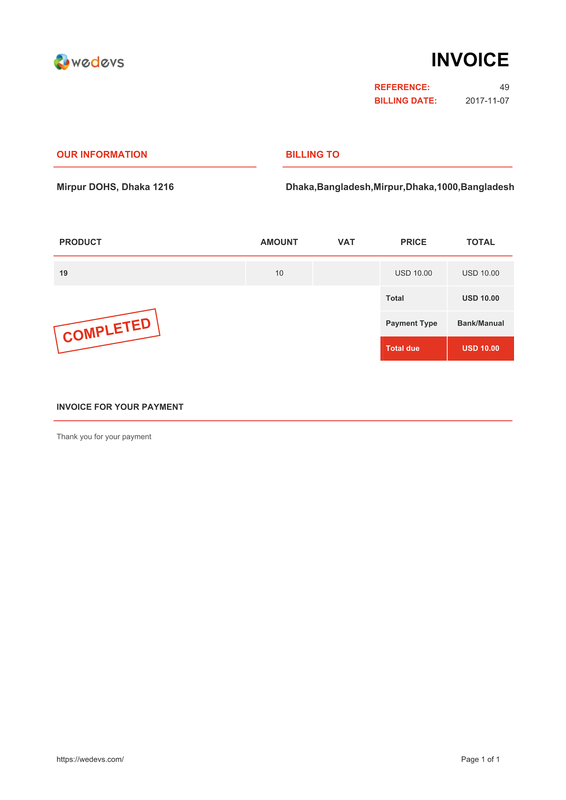 We can customize several fields of the invoice. Those can be accessed from WPUF -> Settings -> Invoices tab . If no field is set, then the defaults will be used. 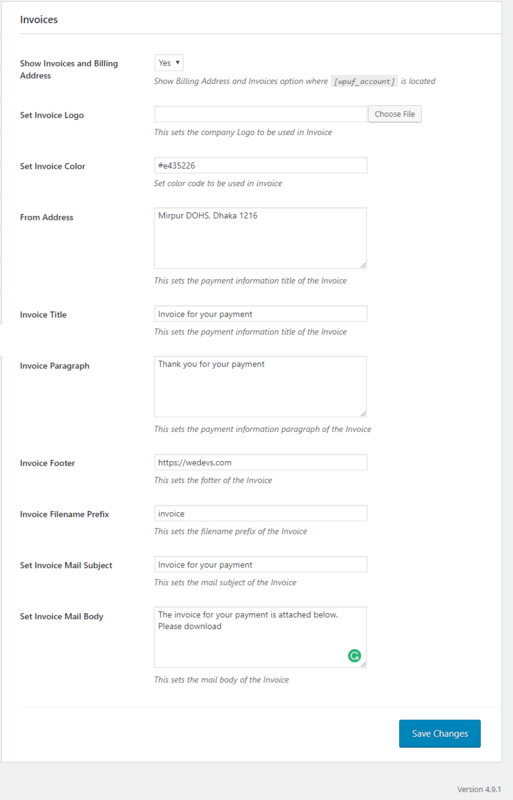 Users can choose whether they want to show the invoice and billing address in their dashboard by selecting “Show Invoices and Billing Address” option. 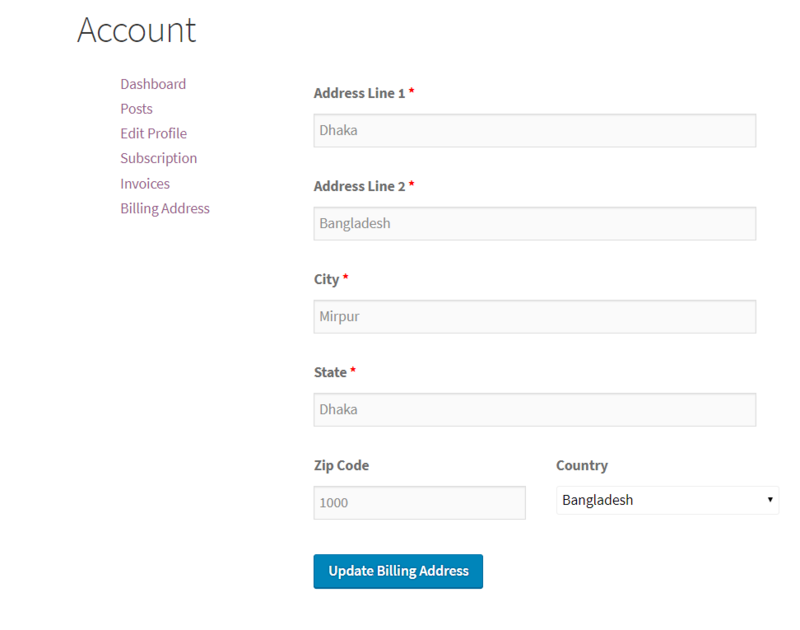 Also You need to set billing address from frontend dashboard. Otherwise the billing to section will be empty. 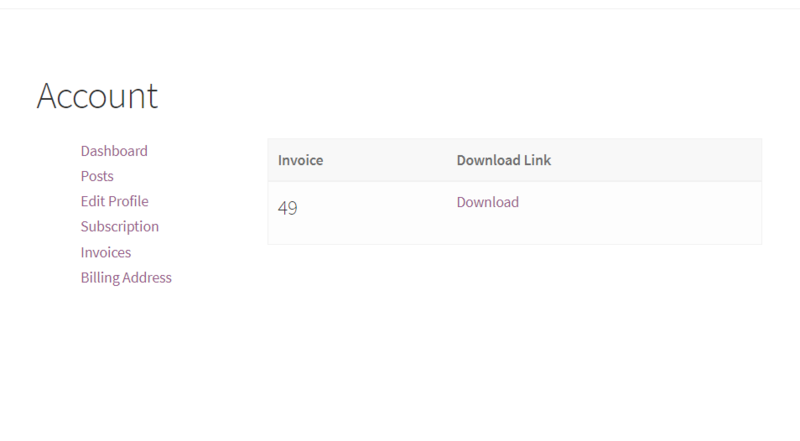 Users can download the invoices from Account page in dashboard.